Blissful friends! 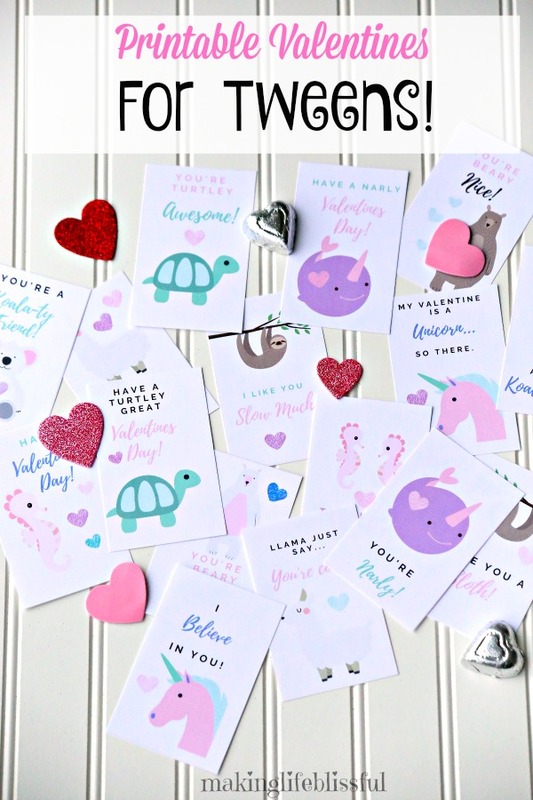 More printable Valentine Cards for you guys! 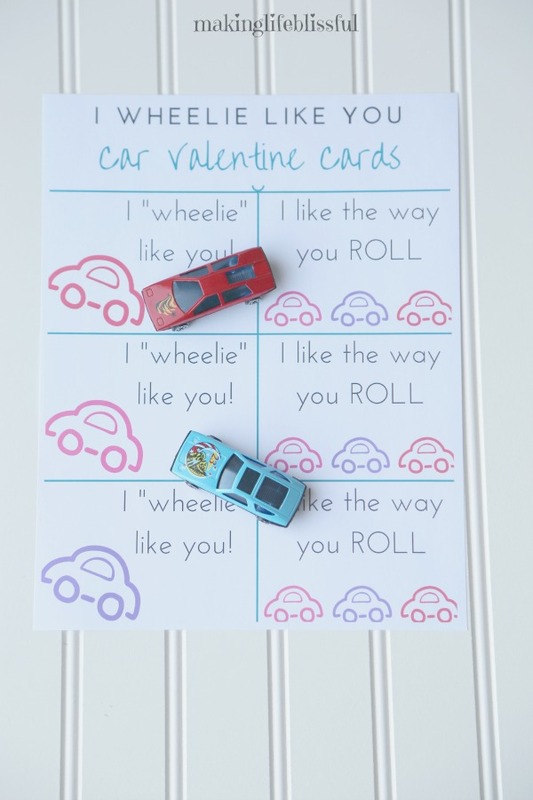 I don’t know why but I really got in the mood for cute non-candy Valentines this year. 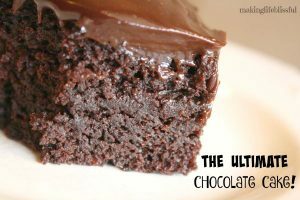 So I wanted to show you a couple of ideas that are EASY, QUICK, and AFFORDABLE. 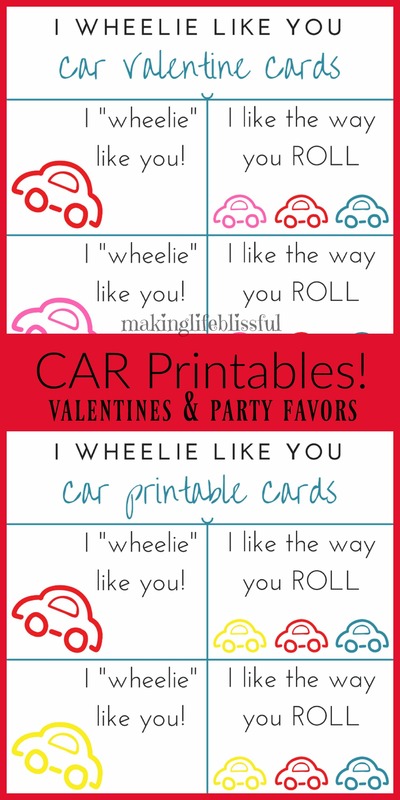 These are CAR Valentine cards printables that would also work really great for party favors for birthday parties or whatever too. 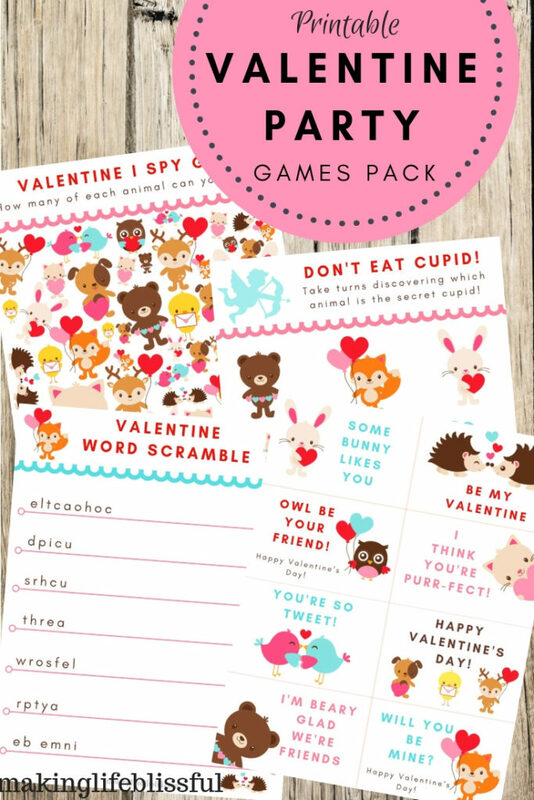 I made FREE Printables for you to try and some bundles are also available in my Etsy Shop. 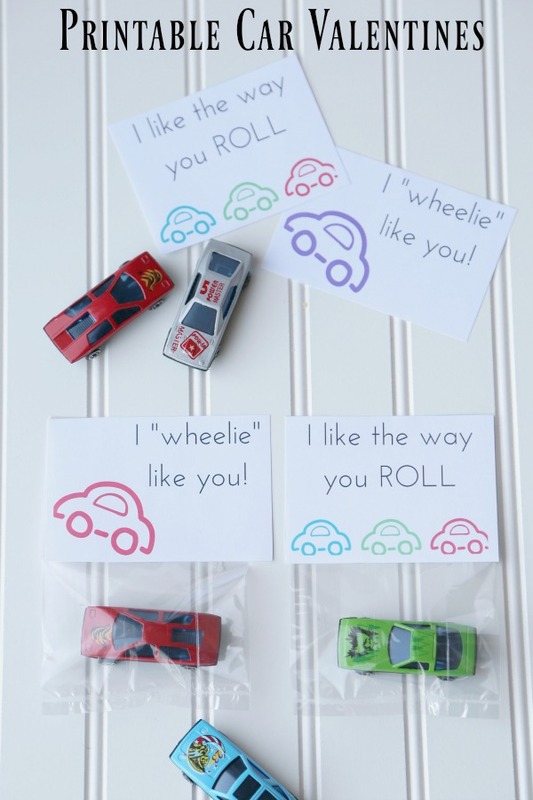 I love this little Valentine sayings of “I WHEELIE like you!” and “I like the way you ROLL!”. I hope you enjoy this. 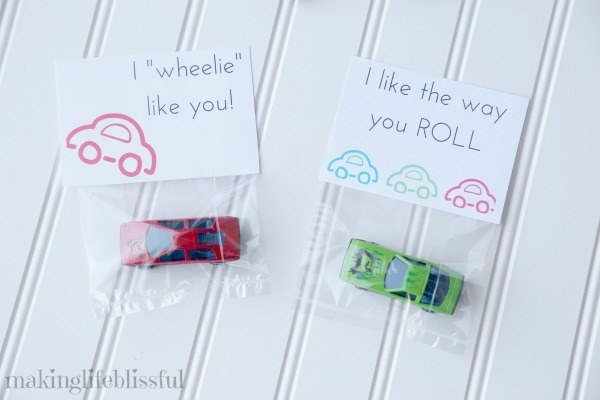 You can use those easy Hot Wheels Cars that are like a $1, or any kind of car toy or item. You can also just simply pass them out with nothing attached. 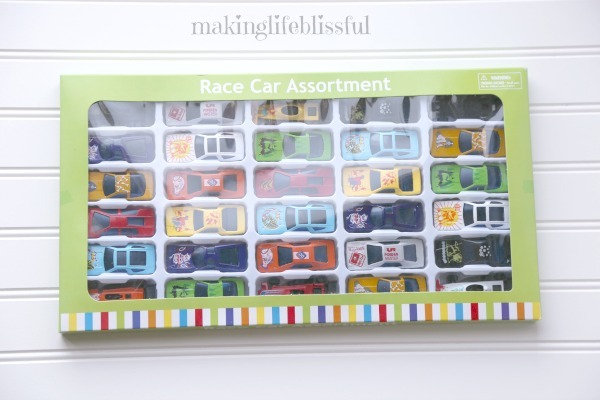 I used these cars from Oriental Trading Company. They are really cute cars and the price was great. 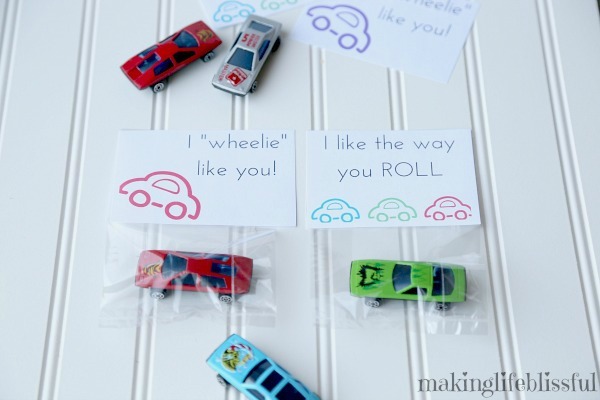 The price per car turned out to be less than a dollar which works great for large school classes or birthday parties. 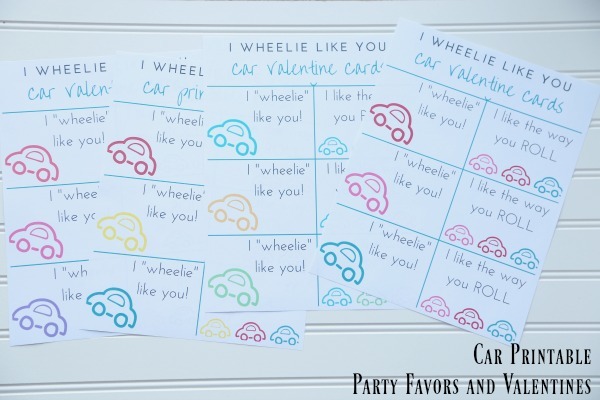 Click here to see their large assortment of party favors and party supplies. 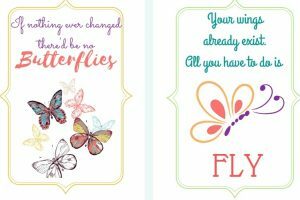 To get the FREE PRINTABLES please click here to join my email list and you’ll get access to all my free printables. If you want the awesome FULL BUNDLE, please visit my Etsy Shop!